Arranged marriages. A runaway bride. Sisters. Adultery. Witchcraft. A Woman doctor. When Alma flees with her young lover to Texas to escape an arranged marriage with a much older man, she sets in motion a drama that will put the sisters and their legacy at risk. Pilar, a 14-year-old tomboy, is offered as a replacement bride, and what follows is a sensuous courtship and marriage clouded by the curses of her husband’s former lover, Consuelo. She will stop at nothing, even the use of black magic, in her effort to destroy the Sandoval family. The Mexican-American war begins and the Americans invade Santa Fe. The sisters are caught in the crosshairs of war from two important fronts - New Mexico and Texas. Their money and ancient knowledge offer some protection, but their lives are changed forever. 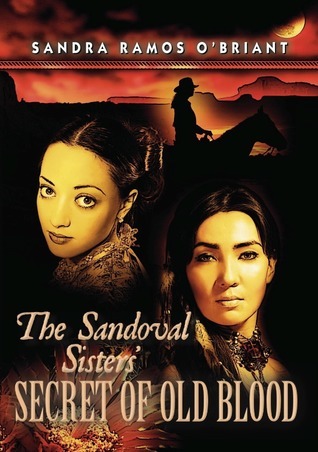 The Secret of Old Blood is a novel about three sisters during the Mexican-American wars. The Sandoval family are wealthy land owners in the late 1800’s. An old family tradition exists where the women keep extensive diaries of their lives. The diaries date back centuries and are all carefully kept and shared amongst them. In this way, family secrets, recipes, potions, and life stories are shared to future generations as a way to share knowledge and preserve information. The novel draws the reader in quickly, and as the three women go forth to the their own destinies, their individual stories, heartbreak, triumph, and secrets are revealed. And of course, no novel that deals with old history is without its share of potions, witchcraft, and black magic. And that’s what I found most entertaining about this novel – is how the old intersects into each woman’s life. This is a novel with a unique setting, intriguing characters, filled with both turbulent and challenging life issues. There was plenty that kept me interested and reading until the last page. Highly recommended, especially for those who love a good family saga!